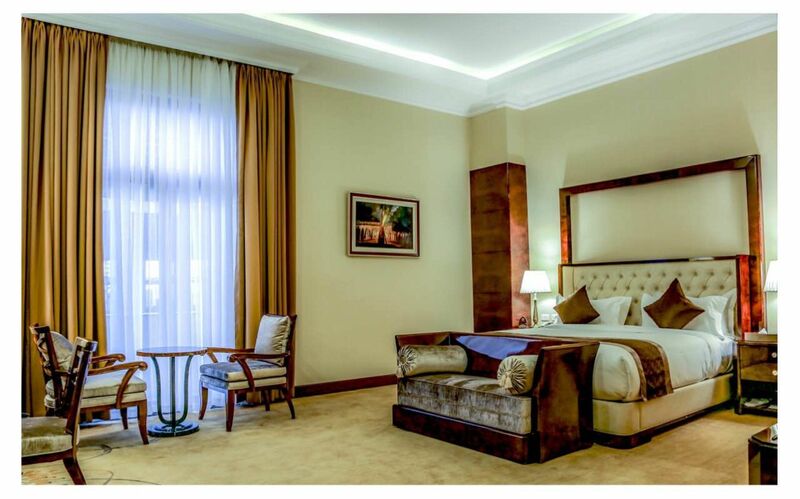 Sapphire Addis Hotel is a 5 star Hotel that has inter the fast developing hotel market of Addis Ababa. It is located in the city’s central zone one kilometer away from Bole international airport, 3 minutes drive adjacent to the renowned Bole medhanialem Church. The Hotel is settled on 1300 sq. m of land locates on Namibia Avenue. The hotel offers luxurious restaurant, bar, lounge spa, fitness center, conference halls and ATM service. The hotel has 130 delicately furnished guest rooms of various types, each with facilities and amenities displaying test and elegance as well as meticulous care. The hotel takes care of the pleasant experience of your taste buds and gourmet food exploration. The Emerald restaurant, Pearl Mediterranean restaurant and our Morganait bar present various European as well as traditional cuisines. Our chefs creative efforts together with the meticulous service from the attendants bring you noble dining experience with a blend of history and culture. The hotel is well equipped with all kinds of conference and meeting facilities, offering a ideal venue for important receptions, meetings, business banquets and wedding banquets. Sapphire hotel is also well equipped with various types of fitness and recreation as well as shopping facilities complimenting your leisure and business activities.